Make 50% of all the govt. buildings of the national capital and all the state capitals fully accessible by December 2018, the Bench directed. The Supreme Court has issued some important directives and set deadlines while disposing of a petition filed by a visually disabled Gurgaon resident seeking proper and adequate access for such persons to public places. Rajive Raturi, who works with a Human Rights organisation, in his petition, submitted before the court that there are 60-70 million disabled persons in India, almost 50% thereof suffer from visual disability, and the fundamental concern of these visually impaired persons is safe accessibility to movement on footpaths and accessibility to roads and transport. 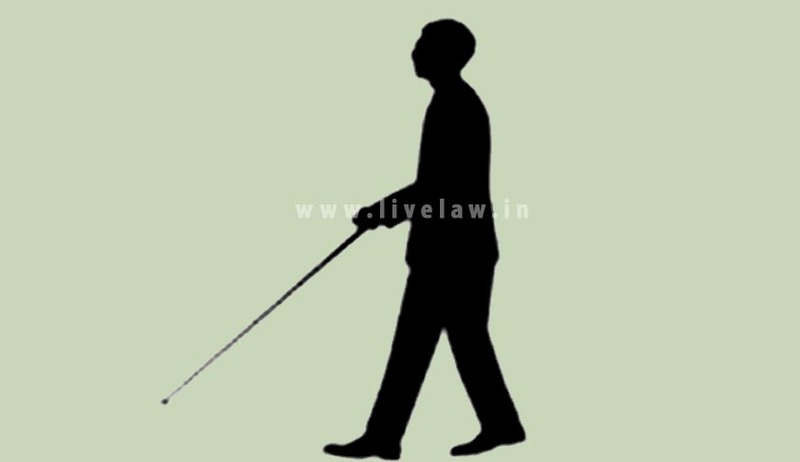 In an elaborate judgment, the bench of Justice AK Sikri and Justice Ashok Bhushan has discussed right of visually disabled persons at international and national level. "Right to dignity, which is ensured in our Constitutional set up for every citizen applies with much more vigour in case of persons suffering from disability and, therefore, it becomes imperative to provide such facilities so that these persons also are ensured level playing field and not only they are able to enjoy life meaningfully, they contribute to the progress of the nation as well", said the Bench. i) Making the gates to public places accessible by incorporating necessary accessible standards. More specifically, they must be made wide enough to allow wheelchairs to pass easily and must provide enough space for the wheelchair to turn around after entering inside. ii) Stair must be marked with a broad yellow line to allow the visually impaired to understand the difference in gradient. iii) At places like airports, railway stations, etc passengers must be clearly informed about the details of their flight/train such as the gate number for boarding, etc via public announcement systems (this practice is, surprisingly, gradually declining). iv) A minimum of 3-5 parking spaces near the entrance must be reserved for persons with disabilities. This must be clearly indicated by showing the international symbol for disability i.e. the wheelchair symbol. v) All unnecessary obstructions must be removed, and all access ways must be well lit. Moreover, clear signposts, along with their Braille equivalents should be put up. vi) Elevators must have clear Braille signs and auditory feedback. The buttons of elevators must be accessible from a wheelchair. Pictograms must be put up near elevators and other important places such as toilets. vii) Employees working at public places must be provided necessary training to enable them to understand the unique set of challenges that persons with disabilities face. They should be informed about the best practices for dealing with these challenges. viii) Wheelchairs and mobility scooters should be available at every public place. Making 50% of all the govt. buildings of the national capital and all the state capitals fully accessible by December 2018. Completing accessibility audit of 50% of govt. buildings and making them fully accessible in 10 most important cities/towns of states/UTs not covered in targets (i) and (ii) by December 2019. Complete accessibility audit of all the international airports and making them fully accessible by December 2016. 50% of all railway stations to made fully accessible by March 2018. 10% of government owned public transport carriers are to be made fully accessible by March 2018. At least 50% of central and state govt. websites are to meet accessibility standards by March 2017. At least 50% of the public documents are to meet accessibility standards by March 2018. Bureau of Indian Standards to embed disability aspect in all relevant parts of revised National Building Code. Train additional 200 sign language interpreters by March 2018. Advisory Boards to be constituted by all States and Union Territories within a period of three months from today.